Q is one of the most exciting design projects we have been involved in, our customer gave us freedom to create so we tried to break some design rules in tile industry and support contemporary design trends to focus the brand. 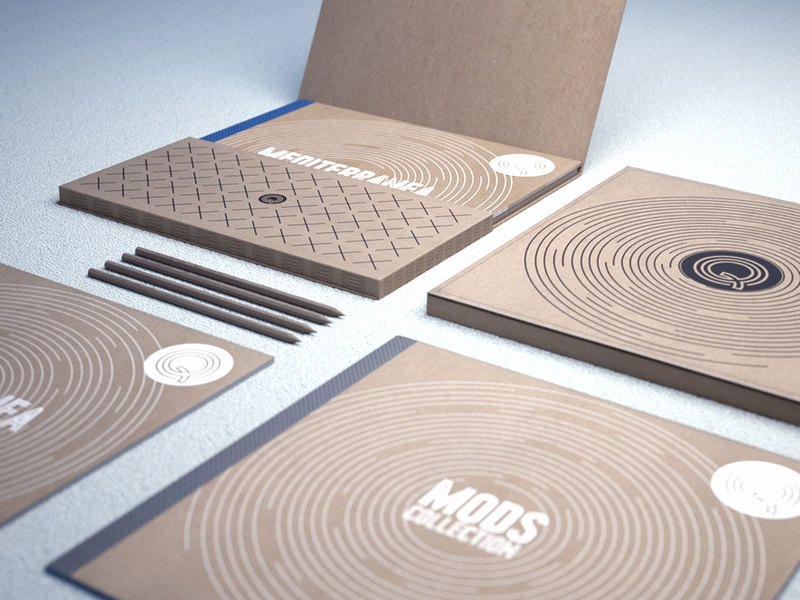 Once the product was developed and the collections were completed, we arranged the catalogue concept. Our idea, was to design three brochures, one for each collection, and then put all together in a nice folder to contain them. 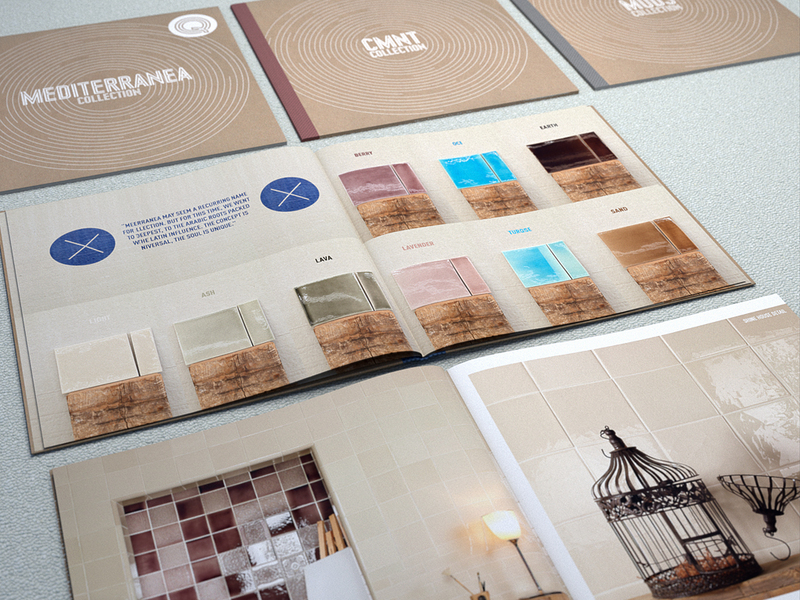 We got the inspiration from the best furniture catalogues and wanted to show the tiles as individual design objects and give them a vintage and eco friendly look. We used four different materials for this project. 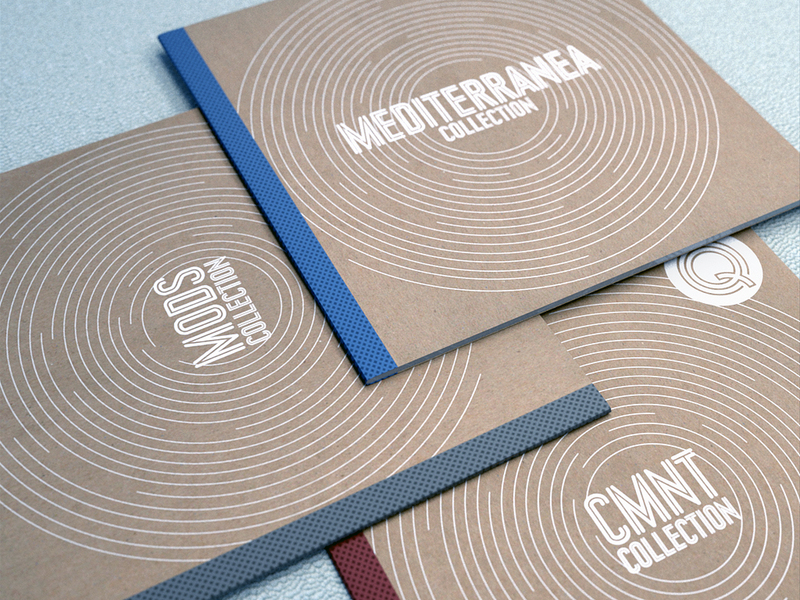 Glossy paper for the pictures, Fedrigoni matt paper for the indexes, kraft paper for the covers and a beautiful recycled rubber lining of three different colour, one for each collection.